Assistive technologies such as telecare can help people with dementia experience greater autonomy and enjoy a better quality of life. The devices can help individuals to remember daily tasks, maintain greater levels of safety and feel more secure. We have a proven track record in delivering many technology-based care solutions to individuals and dementia care providers. Our Dementia support packages often include a combination of products to keep people safe at home or in care facilities. Dementia is a general term used to describe cognitive impairment in an individual. The underlying cause of dementia is brain cell death. This may be related to natural ageing, a neurodegenerative disease, stroke, tumour or head injury. Almost 1% of Ireland's population suffers from some sort of Dementia, which is around 38,000 people. At Ireland's current population growth rate this figure is set to increase to 58,000 by 2021 and 104,000 by 2036. In Ireland the most common underlying cause of Dementia is Alzheimer’s Disease, which accounts for somewhere between 60-80% of cases. For anyone living with Dementia, memory, language and thinking can all be impaired. This can make living with the condition very difficult and dangerous should an emergency situation arise. In order to help people live more securely at home, we supply assistive technologies that can help with leading a more independent life. The technology solutions also bring peace of mind to family members and carers. They allow people to remain at home for a longer period of time and when given the option, this is what most people prefer; to remain in the comfort of their own home for as long as possible. Another benefit of home care technologies is that the costs associated with long term care can be avoided; costs which can otherwise be extremely burdensome for family members. Our automatic pill dispenser range is designed especially for the elderly or people with dementia or Alzheimer’s. It can also be used for people with sensory or cognitive impairments, as well as patients who are required to take a number of medications at various times each day. The Bed Occupancy Sensor is simply placed under the mattress covers of a bed. 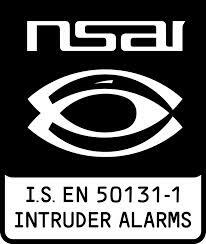 It can be programmed to send an alert immediately when an individual exits the bed. Alternatively, the alarm can be set to send an alert only when a person does not return to bed within a reasonable time. The Chair Occupancy is placed out of sight under the cushion of a chair. It can send an alert immediately when an individual leaves the chair, indicating a possible fall. The Enuresis Bed sensor can provide early warning for individuals who experience incontinence while sleeping. The sensor pad is placed between the sheet and mattress and automatically transmits an alarm if excess wetness is detected. The Enuresis Chair sensos can provide early warning for individuals who experience incontinence while sitting on a chair. The sensor pad is placed on the cushion and automatically transmits an alarm if excess wetness is detected. The Man Down Sensor is an innovative device that has a built-in tilt device, which detects if the person is in a horizontal position such as lying on the floor. The Man Down sensor will automatically send an alarm when its position remains unchainged after a set period of time. The Fall Detector is a smart device equipped with a help call button and an automatic fall detector which detects a heavy fall. It is designed to be worn as a wristband permanently for maximum comfort for the user in their every day life. The Hypothermia Detector is a clever system that detects when the room temperature drops to a dangerous temperature. The Heat Detector will activate if the room temperature rises to an unacceptable level. Flood Detector Provides early warning of overflows and leaks permitting appropriate action to be taken to prevent serious damage. Automatically raises the alarm when water is detected. Anti Wandering Door Alarm. The Carelink Anti-Wandering door monitor is an innovative forward thinking system that is designed to prevent a resident from leaving a designated area or building. This simple system comes complete with two Nurse Call Buttons and one Caregiver Pager. The Caregiver Pager has an audible alert and is small enough to be carried in a pocket or clipped to a belt. Lola GPS Tracking device is ideal for carers or loved one's who have someone they are concerned about. Simply a button worn around the neck, Lola has a built in panic button with a Two-Way Speech facility. When the button is pressed a call is placed to the 24hr monitoring centre or carer's mobile phone. The monitoring centre or carers app then identifies the location of the individual allowing immediate assistance to be given.